Price: Depends on programming. Ask Venue. 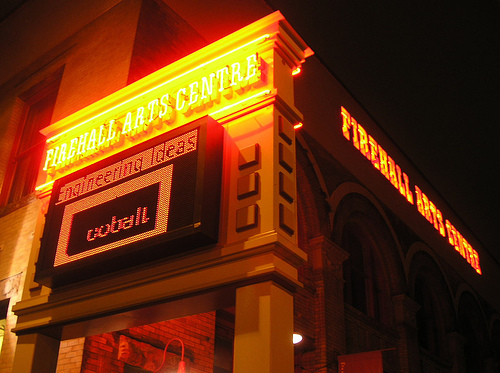 The Firehall Arts Centre houses a 136 – 175, flexible seat studio theatre. 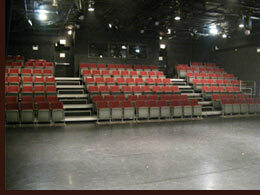 The venue is available for rental and inquiries should be made approximately six months in advance. It is possible on occasion to book the space for shorter rental periods with less lead time. 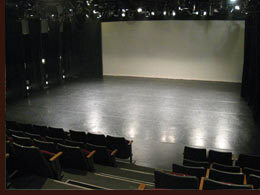 On the upper floor of the Firehall Arts Centre, a large rehearsal studio with dance barres, mirrors and a marlee dance floor is also available for rent and can be used for various activities including performance. Studio inquiries can be made at any time for daily or hourly rentals but as with the theatre, should be made well in advance for longer time periods. The facility is very active, so do your best to inquire as soon as possible if you are in need of space. 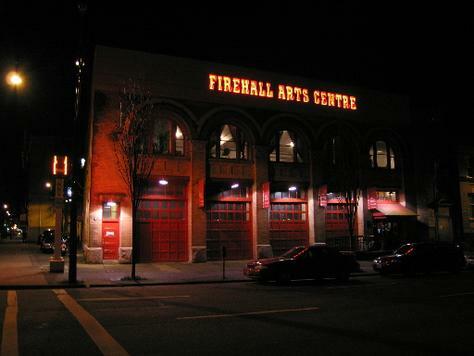 Please call 604.689.0691 or email abenson@firehallartscentre.ca for rates and information. Due to the large volume of inquiries received, rental inquiries must be submitted in writing. Send us your proposed project and rental schedule by email, fax or mail. For Firehall contact info click here.